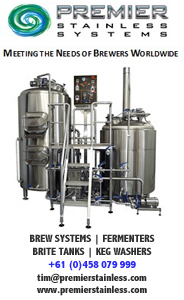 A couple of years ago, you'd often hear people comment that everyone was brewing an IPA. Yet, were you to scour the fridges and shelves of the country for Australian brewed IPAs, you'd find them few and far between. Sure, there were plenty appearing as limited run seasonals, but the style that was setting the States alight hadn't quite sunk its teeth into the Australian market. But, just as it took sours a couple of years longer than we predicted to really take off here (at least in the lively niche where they're found today), so have IPAs come very much to the fore. Thus, when deciding what beer style would herald the return of our blind tastings – more than six months after the last due to an insanely busy first half of 2016 – the choice was obvious. What's more, we'd punished our panellists, who give up half a day of their weekends to take part, with some less than thrilling lineups in the second half of last year. In the past, we've always taken on a style in one sitting. But, in a reflection of the growth of the industry and the rapid rise of India pale ales, it soon became apparent this wasn't going to be possible this time around. Even by drawing up some parameters – no beer under 5.8 percent ABV*, no rye, red, black, white, brown, double or barrel-aged versions and only US / New World style IPAs – the list of those potentially available in bottle or can soon reached 40. 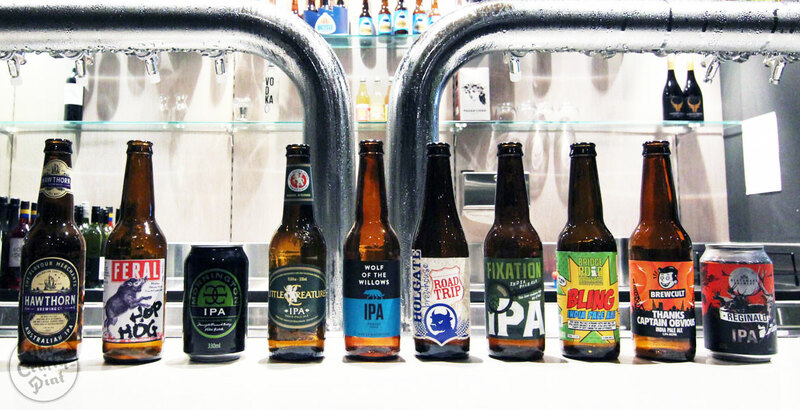 So, for this first session, we looked at Australian brewed IPAs between 5.8 and 6.4 percent ABV. 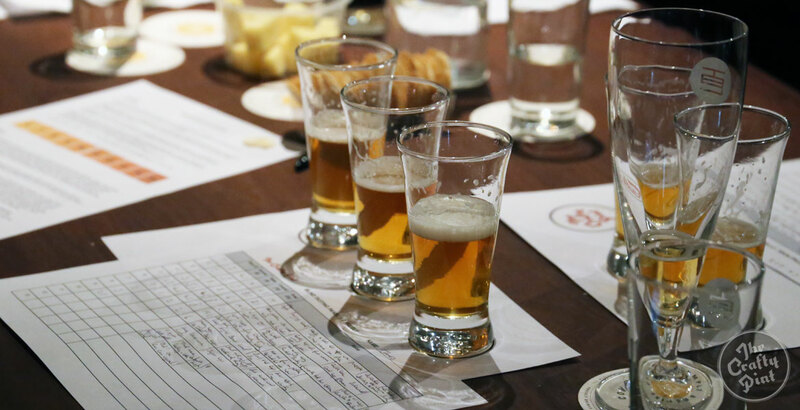 At the end of July, we'll gather again to assess those 6.5 percent and above and then, possibly, pit the top few from each tasting against one other in a "trophy round" to pick a top three overall. The panel was the usual mix of commercial brewers, home brewers, beer reps and writers, with AIBA Steward Pete "Prof Pilsner" Mitcham taking control, assisted by Crafty Pint writer Kerry McBride. And the beers, presented in flights of three, were assessed by our usual methods, which you can read about here. All beers, bar one, were sourced from retail, with the stores where they were bought listed below, as we like to judge beers that our readers can get their hands on rather than stock sent from brewers – unless that's the only option. We also list the batch number, packaged date or best before date where possible. * If Feral feel their Hop Hog, the country's most popular IPA, wavers on the border between India pale ale and, simply, pale ale (see the X through India on the labels) then that's good enough for us as a boundary marker. To paraphrase late Scottish rugby commentator Bill McLaren, there'll be dancing in the streets of Victoria tonight as the state dominated the top ten. 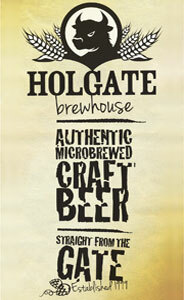 Then again, it dominated the beers available for the tasting list too, with 11 of the 18 entrants hailing from there. Of the other relatively widely available and eligible beers, we were unable to locate any Yenda IPA from the Coca-Cola Amatil / Casella joint venture Australian Beer Co, none of the Vintage Cellars we visited had Newstead Brewing's highly rated Two to the Valley IPA in stock and we didn't hear back from Green Beacon about their Windjammer. Furthermore, there is currently no Dainton Insane Uncle IPA or Noisy Minor ANZUS IPA around in bottles; perhaps these can be added (with an asterisk) to the next round. In a style category in which the "Fresh is best" mantra applies perhaps more than any other, two "new" beers – the just canned Blackman's Brewery Reginald IPA and one of the first batches of BrewCult Thanks, Captain Obvious to come out of Kaiju! (the beer which helped BrewCult founder Hendo secure the first Champion Gypsy Brewer title last month) – provide evidence of just that. And, in what must be the tightest finish we've seen, a mere 0.5 marks out of the potential 150 that could be awarded in total by the six judges separated those two beers. That said, there were just nine points from 150 covering the top five. And, pleasingly – as hopefully it's a sign of improving standards across the board – the overall average score was one of the highest we've recorded for any blind tasting. NB You can view the results from last time we assessed IPAs in 2013 here – it's quite a trip down Memory Lane! 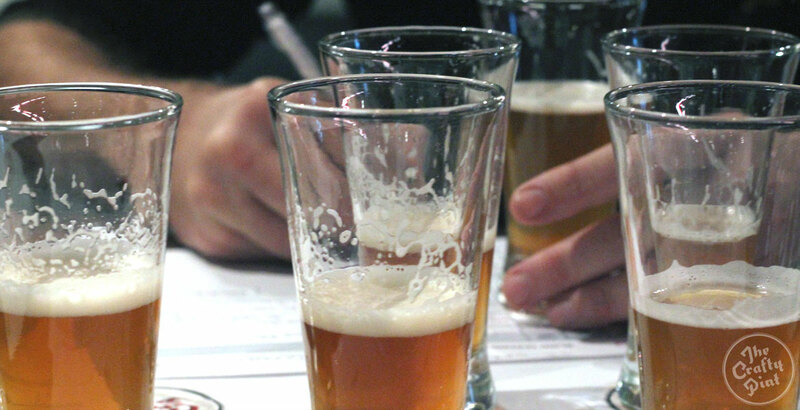 The other beers that were tasted but finished outside the top ten were Southern Bay's Hop Bazooka, Pact Beer's 100 Acres IPA, Nomad Brewing Jet Lag, Cricketer's Arms (Asahi) Captain's IPA, Batch Brewing West Coast IPA and Black Dog's Leader of the Pack. NB The tasting took place on June 11, 2016. We found two different versions of BrewCult's Thanks, Captain Obvious in stores – one with a date stamp, one without – and asked Hendo about them. The bottles without a date stamp are from an older batch. As he's someone who loves to hammer home the message of drinking hoppy beers fresh, we asked if he'd mind us including it in the tasting anyway. And, while the older beer hasn't been included in the official results, if it had been it would be nestled between Holgate and Wolf of the Willows, suggesting it's a beer with legs. Unintentionally, the bottles of Cavalier Brewing's one-off Idaho IPA, the first beer brewed commercially in Australia with much-hyped new US hop Idaho 7, ended up in Prof's serving stash. At 6.6 percent ABV, it was intended for round two. This means we'll be picking up a couple more bottles ready for that tasting, but the Cavalier crew will be pleased to know that it would have placed third here if it was eligible. We haven't yet run a Drinking In Style article on India pale ales; this will appear on the site before the second round. You can view previous tasting results here.